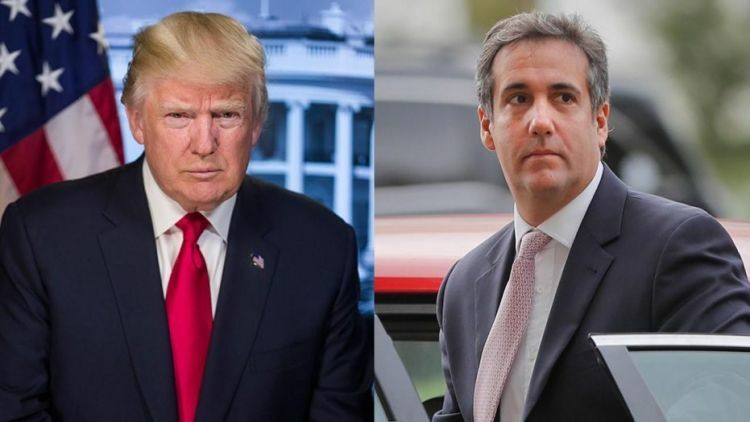 Donald Trump is facing calls to “resign or be impeached” if reports he instructed his former lawyer Michael Cohen to lie to Congress about talks to build a Trump Tower in Moscow can be verified. The president is under pressure after two law enforcement officials involved in special counsel Robert Mueller’s probe into Russian collusion in the 2016 US election claimed to have obtained evidence of possible obstruction. Several Democrats have urged Congress to seek clarification of what evidence the special counsel may hold on the matter, with one calling for Mr. Trump to be removed if the claims, first published by Buzzfeed News, are proven. California representative Adam Schiff said Congress would “do what’s necessary” to find out if the claims in the report were true. “The allegation that the President of the United States may have suborned perjury before our committee in an effort to curtail the investigation and cover up his business dealings with Russia is among the most serious to date,” he added. Chris Murphy, a Democratic senator from Connecticut, urged the Mueller probe to confirm whether it had evidence the president instructed his lawyer to lie to congress. “If Mueller does have multiple sources confirming Trump directed Cohen to lie to Congress, then we need to know this ASAP,” he wrote. Special counsel sources have reportedly learned Mr. Trump planned to visit Moscow during the 2016 election campaign, where he would meet with Russian president Vladimir Putin and kick-start negotiations over the tower project, telling Cohen to “make it happen”. Mr. Trump has routinely denied he had business ties to Russia after the point at which he declared he was running for the presidency. However, Cohen, who cooperated with the Mueller investigation after pleading guilty to campaign finance violations during the 2016 election, has reportedly told the special counsel Mr Trump instructed him to lie during testimony to Congress over his contact with Russia.